Regardless of which country you are from, international education will likely take you a long way towards achieving your career goals. Yet, as anyone who has gone through this process knows well, and as we have written previously, the international application process is complicated and stressful, and solutions for prospective international students are under-developed or non-existent. In order to better understand the difficulties international students face and the kinds of help they need, GradTrain launched a survey of prospective, current and past international students. This survey was designed by sociologist Dr. Sharon Sznitman, to identify gaps between applicants’ needs and available services with regards to the international graduate application process. 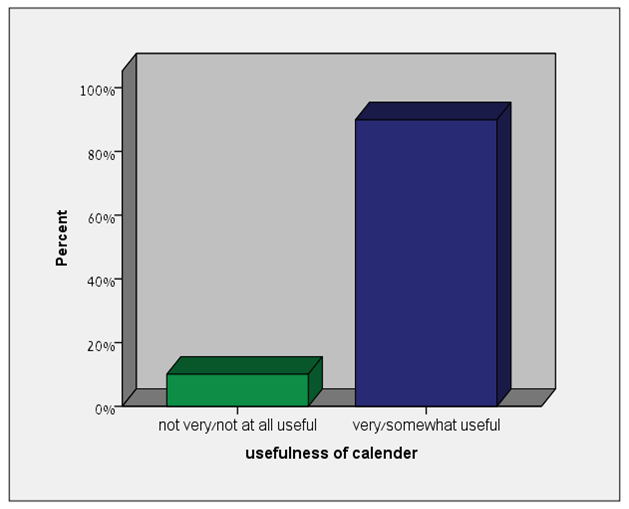 Data was based on an online survey. 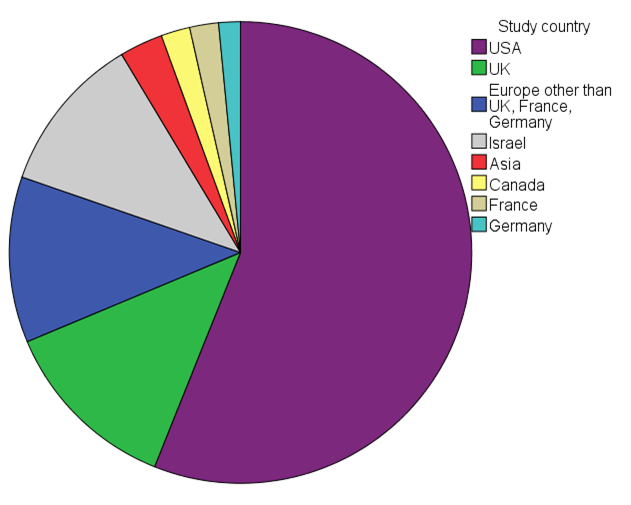 The sample consisted of 217 respondents from 50 countries. 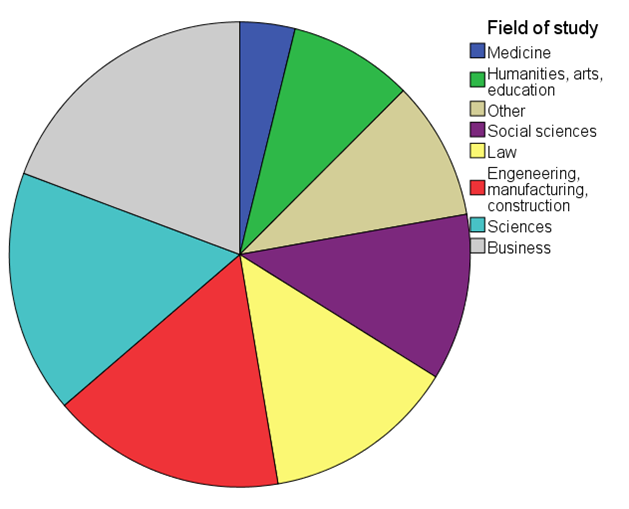 The largest group of respondents had applied to Master's programs abroad and the majority of respondents had studied business, sciences, engineering/manufacturing/construction or law. In line with reports from the OECD, the largest group of international students in the survey originated from Asia (26%), and the second largest group originated from Europe (24%). 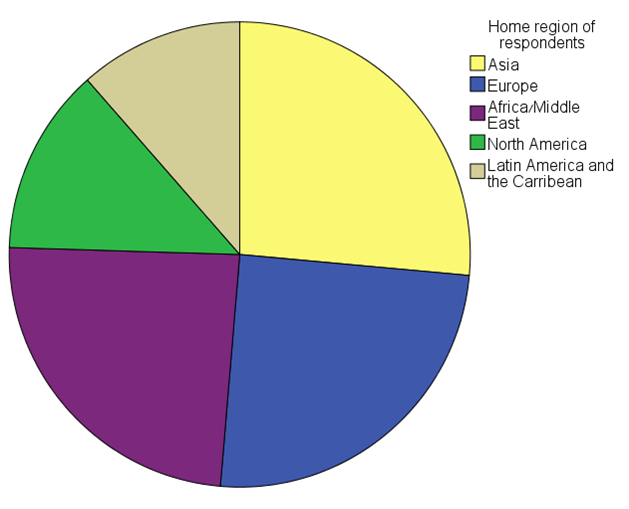 The third largest group of respondents in our survey originated from the Middle East and Africa (24%). Also in line with reports from the OECD, the largest group of international students in the survey studied in the USA (56%), followed by the UK (13%) and other European /OECD countries (12%). What services are prospective students currently using? The survey shed light on an interesting question regarding the current tools prospective students utilize to enhance their applications. 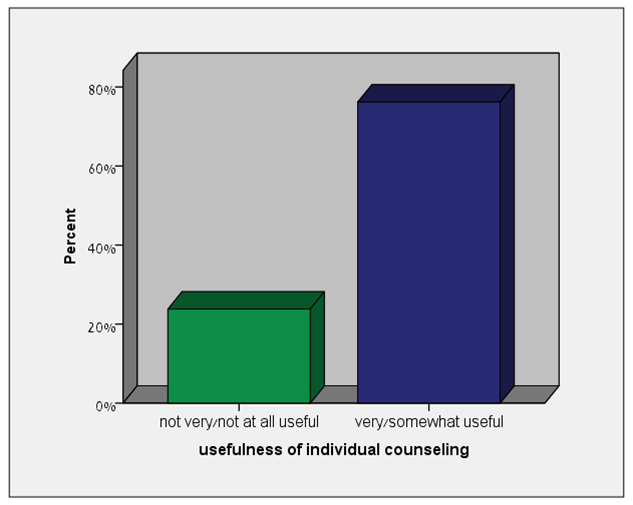 Interestingly, from a variety of potential tools that are available on the market, the survey respondents mentioned using primarily the following services: 33% used chats/forums with students/graduates from their home country, 17% used social media, 15% used a predictor for program acceptance probability, and 12% used individual counseling with education experts. Based on these results, and on the results outlined below, it appears that current solutions are partial at best and are utilized by a minority of international applicants, despite the need for help in the application process. One of the interesting findings from the survey is that applicants know what they would need and what would help them during the international graduate application process. Accordingly, 81% of respondents rated an online tool that helps them understand where to apply to and their chances of acceptance as useful. Apparently, planning and managing the application process itself is another area where international applicants need help. 90% of respondents rated an online calendar of application schedules and reminders to help the applicant plan ahead as useful. Additional help international applicants may need is the ability to chat with other applicants who are going through the same process to share experience and advice. 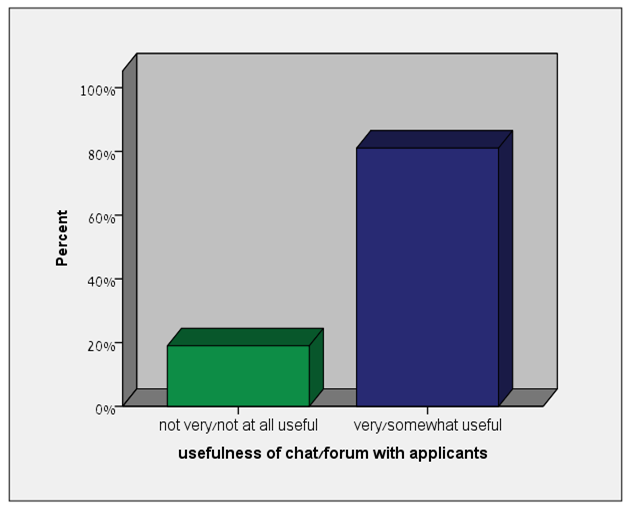 81% of respondents rated an online chat/forum with international applicants (from the applicant’s home country) as useful. A similar number of applicants expressed interest in getting advice from somebody who has already gone through the process. 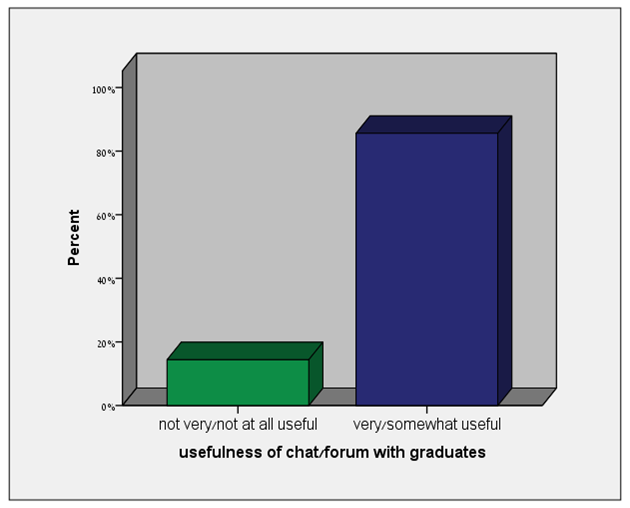 Indeed, 86% of respondents rated an online chat/forum with international graduates/current students from applicant’s home country as useful. Survey results also pointed out that 76% of respondents rated online individual counseling with an education application expert as useful. Our survey revealed that there are many services that international applicants rate as useful. Unfortunately, most of these services are not available to most students today and are not being utilized by the students to enhance their application process . While some of the difficulties in the university application process might be relevant to domestic university applicants as well, international applicants are unique in both the extent of the information problems they face and the little sources of help they have. We believe that the survey results should raise the awareness of universities whose graduates continue their studies abroad, as well as universities that recruit international students, to better understand the needs and solutions for the applicants. Furthermore, these results and other findings we identified in the survey demonstrate the wide gap between the solutions that are available today and what is actually needed. This gap should become known to any person who finds international education important, to work and strive towards better solutions in this field. What are the services you think would be most helpful in the international graduate application process? Tell us in the comments box below. *If you are interested in the full survey results, please contact: info@gradtrain.com. Are you worried about doing economic assignment? Why worry when you have a cheap economics assignment help providing you with all sort of online assignment help in Australia? Now do accounting assignment help and law assignment help in a minute! Enroll now at GoAssignmentHelp.